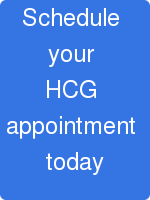 Schedule your HCG appointment today. HCG Weight loss program is a natural, sustainable and most importantly, an effective option that has revolutionized the way we lose weight. The program is a medically supervised rapid weight loss program that combines a very low calorie diet with supplementation and the use of a safe, natural hormone (HCG) to support efficient fat elimination while maintaining energy levels and minimizing hunger. The program includes everything you need to ensure your success with the HCG Weight Solution. How Does HCG for Weight Loss Work? HCG stands for Human Chorionic Gonadotropin, a hormone that occurs naturally in the body. HCG is often referred to as the "pregnancy" hormone, as it is secreted in very large quantities during pregnancy to help support the growth of a fetus. It has been approved and safely used for many years in high dose amounts when treating fertility issues. Recent media attention from Dr. Oz and others have highlighted programs that use the HCG hormone for successful weight loss. These programs are found across the nation. This type of diet may be new to many, but the use of this hormone for weight loss and other health conditions dates back to the 1950′s. Widely used and researched in Europe where it has a long record of success with weight loss and wellness programs, NIHA is proud to have this tool to offer those who are candidates for the program. As Dr. Oz recently pointed out on his show some people report losing ½ to 1 pound per day when taking the hormone combined with a low calorie diet. It appears the HCG can help the body to burn off “belly fat” and use those unhealthy stores of fat as energy. This fat-burning helps to reduce or many times eliminate hunger during the program. On average those embracing this program lose 10-30 pounds per month. It is common for males to find they lose slightly more, and at a faster rate. Of course overall results depend on each person's unique make up and compliance with the program. At NIHA we encourage you to eat organic food as much as possible. Exercise like daily walking or gentle rebounding are encouraged as an important part of the program. If you have physical limitations you should know there is no vigorous exercise involved. The program generally yields 10-30 lbs. of fat loss within 30-40 days, however individual results will vary depending on patient compliance, health status, current medical conditions, etc. Please contact us to see if the HCG Weight Loss program is right for you. "If you are willing to step out in faith and try something radical, this program will change your life. It changed mine! I lost a total of 61.5lbs over 2 program sessions, including an 8 week transition. I went from a size 14 to a size 4 in 5 months and my waist went from 40” to 27’’. I was most astonished by where I lost the weight. I literally watched my stomach, hips and thighs shrink. I currently have the flattest stomach I have ever had, even though I have been at this weight in the past. This program changed the way I think about eating and helped me to overcome my addiction to carbohydrates. What is equally amazing is how great I felt from eating an organic and non-processed food diet. This also resulted in my entire family eating healthier!! Furthermore, my allergy symptoms cleared up, and the headaches that I had previously experienced on a monthly basis were gone. I experienced a high level of energy and focus throughout the program and the sheer joy from the weight loss is indescribable! Sometimes I do not even recognize myself in the mirror. The transition program is critical to long term success on this program. My biggest fear was that I would gain the weight back shortly after the weight loss phase ended. This fear was dissolved when I lost a total of 9 lbs during the 8 week transition period. The transition program is very well laid out and guided and is easy to follow. The consultants were there every step of the way to answer all my questions and give me daily tips and encouragement. Don’t wait, start today. It will be the greatest gift you can give to yourself!" ~ L.B.